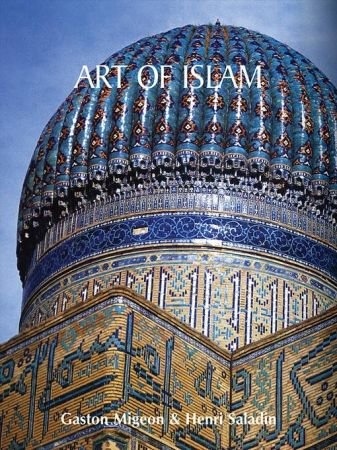 Islamic art is not the art of a nation nor of a people, but that of a religion: Islam. Spreading from the Arabian Peninsula, the proselyte believers conquered, in a few centuries, a territory spreading from the Atlantic to the Indian Ocean. Multicultural and multi-ethnical, this polymorphic and highly spiritual art, in which all representation of Man and God was prohibited, developed canons and various motives of great decorative value. Thorough and inventive, these artists expressed their beliefs by creating monumental masterpieces such as the Al-Aqsa mosque in Palestine, the Taj Mahal in Agra or the Alhambra in Granada, architectural works in which one recognises the stylisation of motives of the Muslim ceramics. Lively and coloured, Islamic art mirrors the richness of people whose common denominator was the belief in one singular truth: the absolute necessity of creating works whose beauty equaled their respect for Allah.